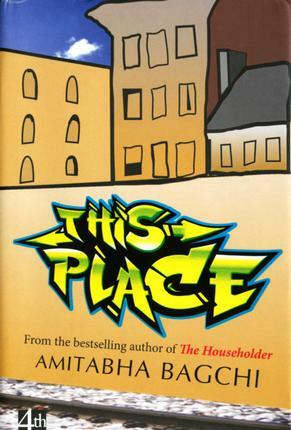 “This house” is the particular locus of Bagchi’s second novel, but the question of how people make and unmake – and are made and unmade by – place is present in all three of his books, which have sometimes been slotted into categories circumscribed by setting: the campus novel (Above Average, HarperCollins, 2007), the Delhi novel (The Householder), and the immigrant novel (This Place). This Place takes in the larger reality of an entire city, Baltimore, but focusses its plot and action around one stretch of 26th Street, where its small cast of characters live. Compared to Naresh – a man mired in his relationships with the world, whose form of rebellion (a contemplated affair with his secretary) is almost as tawdry a cliché as the confines of his mundane middle-class life – the main character in This Place, Jeevan, is a cipher. Formerly a taxi driver, Jeevan has been in America for a long time but never quite lived there. He looks at other immigrants, settling into their new lives and sometimes tries “to want the things that they wanted”. Early in the book, he walks into his house and “for a moment it felt like he was visiting himself, Jeevan Sharma, an old acquaintance. He felt a twinge of curiosity, as if he had known this Jeevan Sharma when they were both much younger and was eager to see what his life was like now and how he kept his house.” In a sense, This Place is the story of how he discovers himself through the people around him on 26th street. On one level, Jeevan already knows that this closeness to his neighbours goes beyond proximity and has a premonition that “he could stay in this place for a long time”. Besides Jeevan, on the four houses on 26th street there’s Miss Lucy, an elderly black lady who plays the organ and makes him pancakes; Henry, who never missed a day of work before he retired, and whose idol is Cal Ripken, Jr (the Baltimore baseball player who holds a record for consecutive games played); and the younger, more transient characters Matthew and Kay, a couple with marital problems who have just moved in. Jeevan’s Pakistani boss, Shabbir, owns three of the four houses and holds court at his Food Point restaurant nearby. As the diversity of the characters implies, this is not the “immigrant fiction” of the ghetto, but the story of a few people at a crossroads, unrelated by blood, yet functioning like family. Bagchi is a writer who flirts with stereotypes, complicating them through his characters’ actions. While Shabbir’s motivations are primarily pecuniary, this “greedy man’s ruthless acquisitiveness” is tempered by “a version of honesty”. Jeevan is Shabbir’s accountant and moral compass — accepting his shady business dealings while drawing a line when the landlord tries to keep his ownership of Miss Lucy’s house a secret and to profit from it. Jeevan may be putting down roots in shifting ground, but it’s precisely this churning that allows him to realise the extent of his attachment to other people. 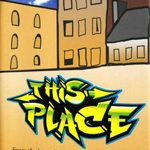 Another character reflects that “This time it wasn’t he who would leave but the place itself.” The threat of a reverse type of displacement compels Jeevan. Bagchi also excels at monologues and dialogue, and he often uses both to stylistically reflect the book’s themes. Henry’s uninterrupted retelling of his past in an early soliloquy mirrors the stasis (soon to be shattered) of the city he has known for “seventy some” years. During a dinner conversation between Jeevan and Shabbir at a Chinese eatery, intrusions by the owner and delivery boy and the random dialogue of fellow diners captures the fragmentary, cheek-by- jowl nature of urban life. Readers who liked the compressed style of Bagchi’s previous books may find This Place disappointing: the writing feels sparser than the college slang-filled dialogue and almost fetishistic descriptions of Delhi in Above Average, or the thick descriptions of babudom and domestic life in The Householder. In some of This Place, Bagchi uses the lighter touch of short story writing, inviting sustained intimacy through a description or a dialogue, but dancing away from overly long digressions in favour of punch and concision. Originally published in the March-April 2014 issue of Biblio.